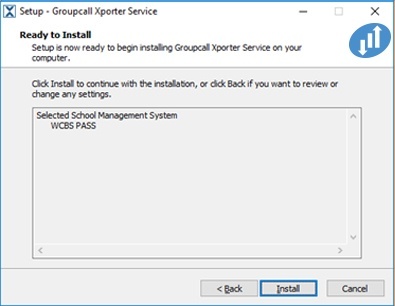 Have your WCBS Pass server information and WCBS school ID ready before you begin, you can contact WCBS directly about this prior to install for assistance if required. 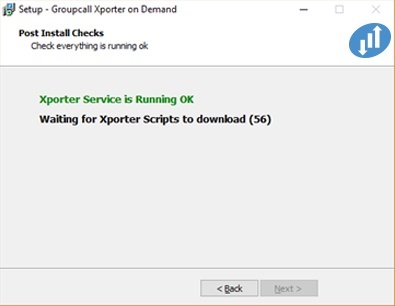 Download and run XporterOnDemand_Setup.exe. 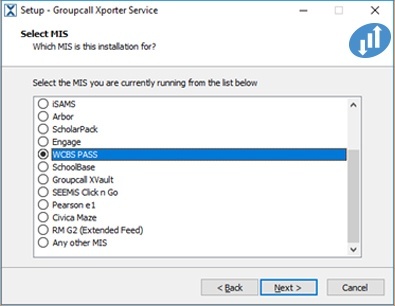 Then select your installation folder and click Next. 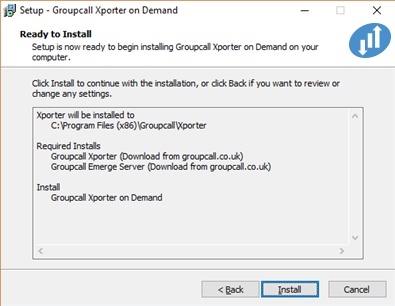 Confirm the installation folder is correct and click Install. 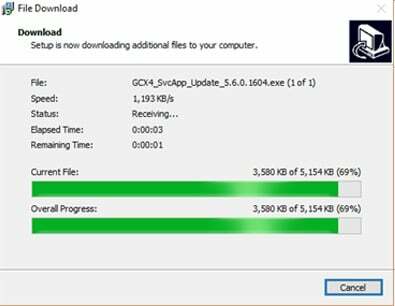 The installer will now download any updates required and unpack the data to the installation folder. 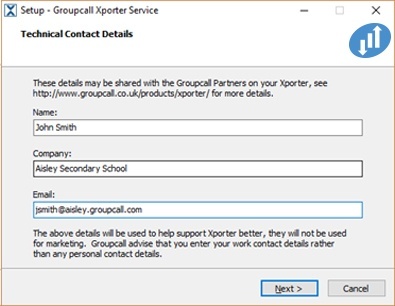 The technical contact details are not required, if you do not wish to provide this information please leave the fields blank and click Next. We recommend you do provide contact details for ease of communitation in the event of any technical issues. 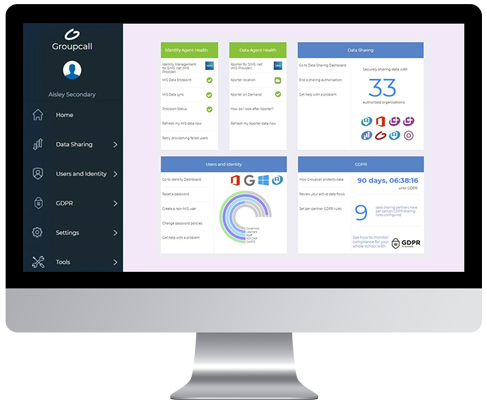 We will NOT share your infomation with anyone outside Groupcall Ltd. Select WCBS PASS as the MIS you are currently runing and click Next. Confirm WCBS PASS is the MIS system you are using and click Install. 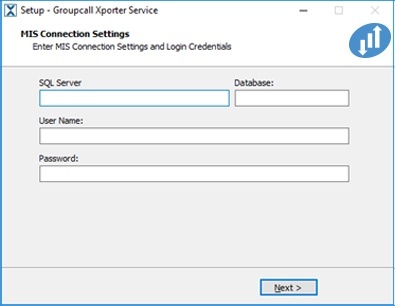 SQL Server: Server address for your WCBS PASS database. Database: Your WCBS PASS database name. 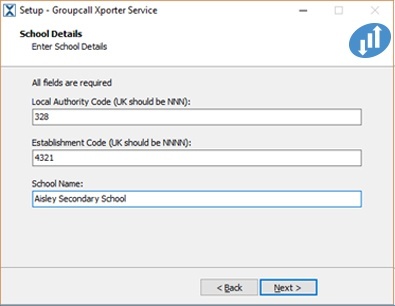 Enter your LA code, ESTAB code and School Name then click Next. 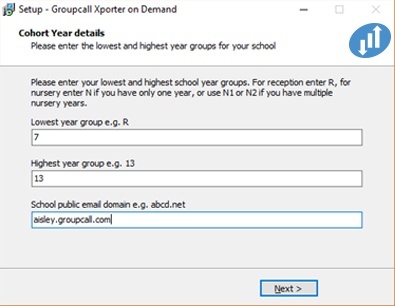 The Cohort Year Details are not essential for XoD however they will be required if you use our identity platform (IDaaS) in the future. The details can be added later via the Xporter console. To continue click Next. 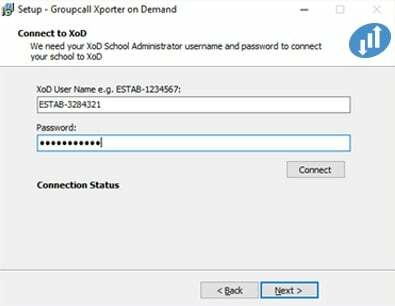 Please fill in your XoD user credentials provided during the XoD registration process and click Connect. 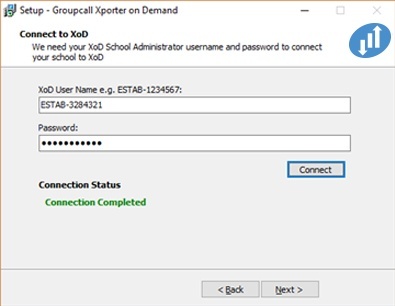 If the connection is successful a green Connection Completed message will be displayed. To continue click Next. The installer will now download, unpack and run the scripts required for setting up the XporterOnDemand tasks. 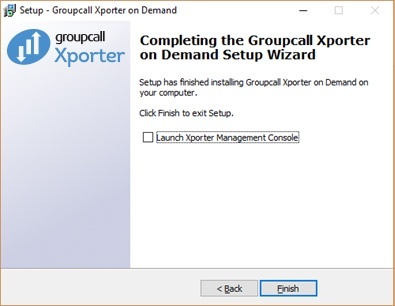 Groupcall XporterOnDemand is now installed and running. To close the installer click Finish.